We’ve updated our onboarding so you can start your Storyblok project even faster. 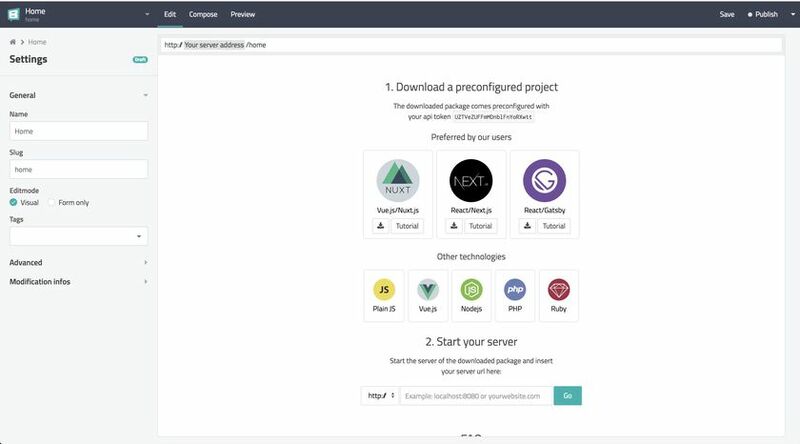 After creating a space you’re now able to download a preconfigured Nuxt, Next and Gatsby project besides all the other setups & tutorials. If you want to build it from scratch to understand it better - the Tutorial links are now also available right next to it! Check it out!